Think you have what it takes to build your own team? According to the Fantasy Sports Trade Association (FTSA), in 2014 there were 41 million Canadians and Americans, age 12 and over, playing fantasy sports. 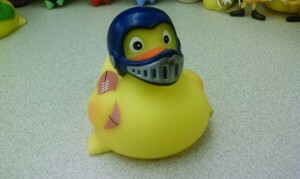 American football is the most active fantasy league in the U.S. and Canada before baseball and hockey, states the FTSA. What is this growing phenomenon and why is it so popular? Is this the real life? Is this just fantasy (football)? In fantasy sports you can build your own dream team online. Fantasy football is an interactive “game” where players compete against friends, co-workers or strangers using real life football player statistics. Competitors act as virtual general managers, picking their own fantasy teams. Picks are made by drafting, adding, trading or dropping player names onto a fictional team roster. The roster has specific categories that must be filled. For example, the Canadian Football League (CFL) fantasy football weekly roster includes one quarterback, one running back, two receivers, one flex spot (either a running back or receiver), one kicker and one defense/special teams player. Points are awarded based on the performance of the players picked. Performance is based on game statistics such as yards run or completed passes made. For example, a picked quarterback is awarded four points if they score a touchdown in that week’s game. The winner of fantasy football has the most points overall, based on football players’ performances, at the end of the season. Other factors, such as weather and injuries must also be accounted for when making picks. Specifics on points, timing and budget vary depending on the fantasy tournament. 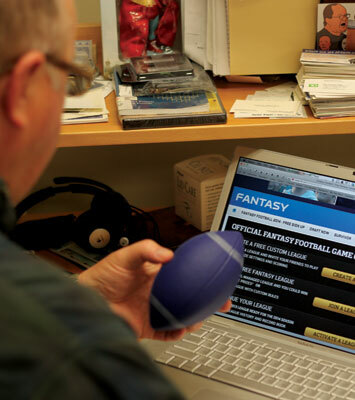 Why are fantasy sports so popular? Fantasy football makes Pedersen feel more connected to the league. “It also allows you to follow football more closely and feel like you have a connection with the players and teams that are on your fantasy team,” he said. The trend has increased in popularity since player stats have become readily available online. Mobile apps and increased live coverage have made it that much easier to follow players and keep up-to-date with team progress. According to the FTSA, the average person spends three hours a week managing their fantasy team. Pedersen says one negative of playing fantasy football is the time factor. Texas University researchers, Seunghwan Lee, Won Jae Seo and Christine Green, identified 13 motives behind fantasy sport participation including game interest, becoming a general manager/head coach, love for the sport, prize, competition, entertainment value, bonding with friends/family, social interaction with other participants, knowledge application, hedonic (up-and-down) experience, escape and substitute for a losing team and gambling. It’s not too late in the CFL or NFL season to join a fantasy league. Learn more about the game you love and pick your players today.